Just in (with pre tariff pricing) for our 10 Year Anniversary Sale, this 2186 MId Table Sweewater is loaded with options, and outfitted for top performance! 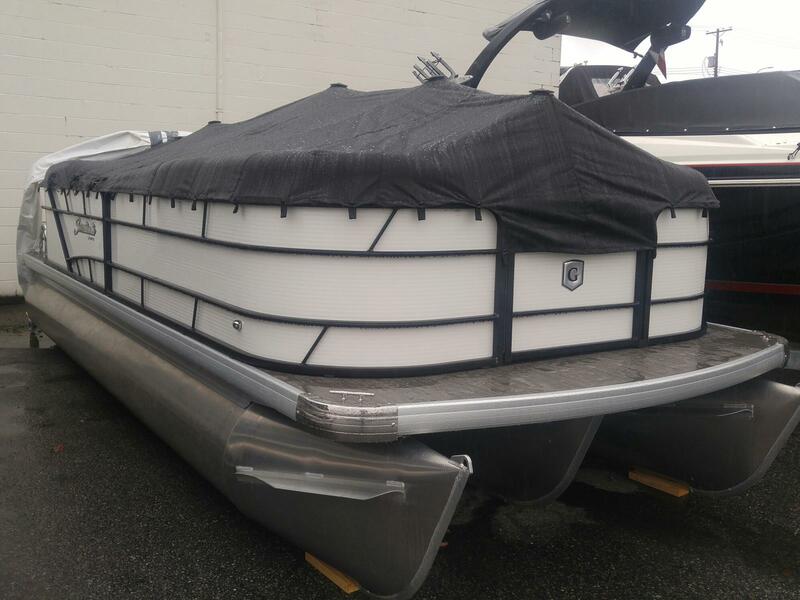 She has a full triple 25" GTP performance toon package, with full lifting strakes and under deck skirting, to ensure a soft, quiet, and dry ride, while keeping the fuel consumption very low! With the added toon, the HP has been upgraded to 150 and the capacity increases to 15! metallic pearl rail skin with black anodized rails and a soft touch slate vinyl package with carbon accents, plus much more! 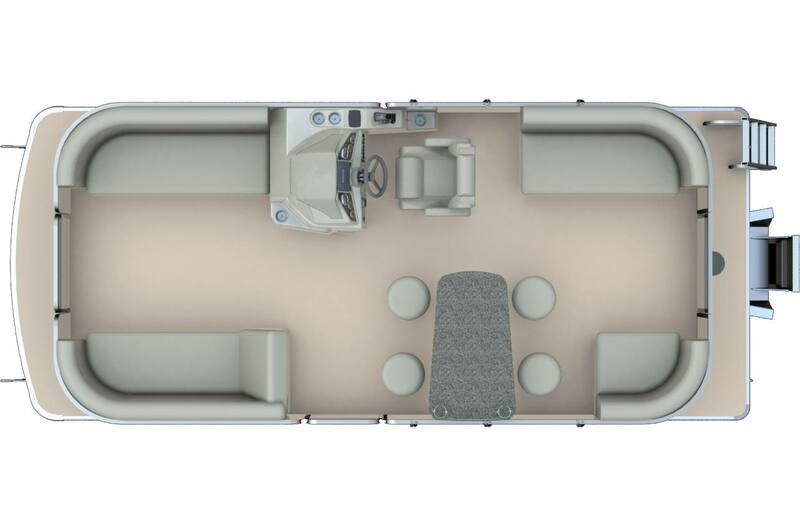 The hull offers a lifetime hull and deck construction and leak warranty, and the boat comes with a 5 year "non depreciating" bumper to bumper warranty good anywhere in North America! 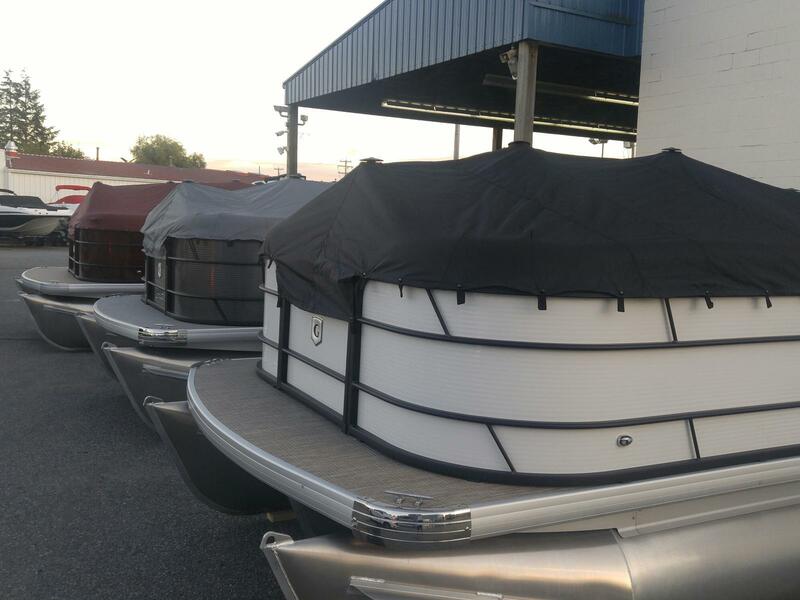 Storage until Spring 2019 is included, with warranty commencing upon pick up. Call for very special 10 Year Anniversary Pricing!